Pfizer's blockbuster hypertension and angina treatment Norvasc could face competition from a related drug following a US court ruling. The poorest performing NHS hospitals could now be run by private companies under new plans unveiled by the Government. Galen has bolstered its product range by buying the rights to pre-menstrual syndrome treatment Sarafem from Lilly for $295 million. ReNeuron, the UK biopharmaceutical company specialising in stem cells and neurological disorders, is in discussions with a potential merger partner. 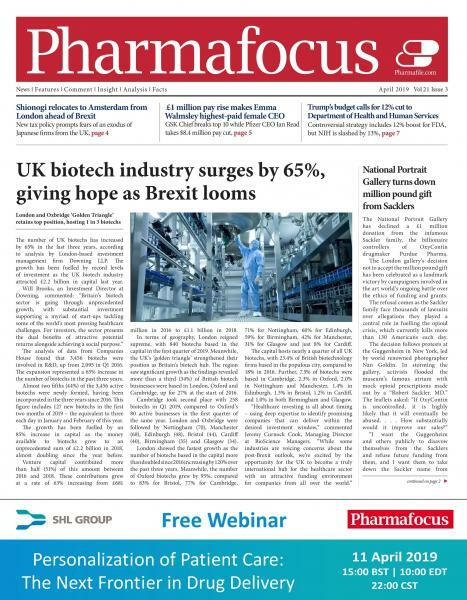 A new UK High Court ruling has given pharma companies the right to block the sale of re-packaged parallel imports that infringe their copyright. The 'risk sharing' scheme to provide multiple sclerosis treatments is a waste of money and scientifically unsound, according to new report.